The entire content included in this site, including but not limited to text, graphics or code is copyrighted as a collective work under the United States and other copyright laws, and is the property of artist George B Lenoir Jr. The collective work includes works that are licensed to Lenoir Designs, Art Studio. Copyright 2000, Lenoir Designs, Art Studio ALL RIGHTS RESERVED. 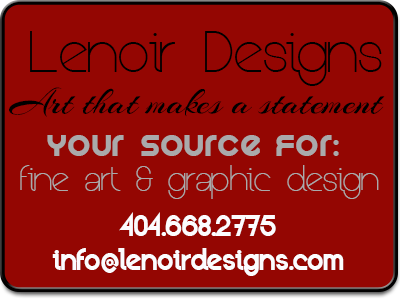 Permission is granted to electronically copy and print hard copy portions of this site for the sole purpose of placing an order with Lenoir Designs, Art Studio or purchasing Lenoir Designs, Art Studio products. You may display and, subject to any expressly stated restrictions or limitations relating to specific material, download or print portions of the material from the different areas of the site solely for your own non-commercial use, or to place an order with Lenoir Designs, Art Studio or to purchase Lenoir Designs, Art Studio products. 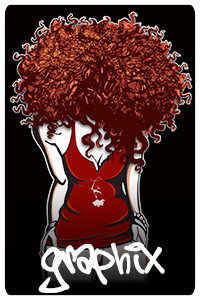 Any other use, including but not limited to the reproduction, distribution, display or transmission of the content of this site is strictly prohibited, unless authorized by Lenoir Designs, Art Studio. You further agree not to change or delete any proprietary notices from materials downloaded from the site. 50% deposit must be made prior to beginning any work. We provide 2-3 initial designs based on client's concept or requirements. After initial designs the client can/will determine the direction of the project. Client can merge portions of sketches to compile a completed design. After next rendering the client may make no more that 3 modifications. Any additional modifications may entail an additional charge. Once the design has been completed, all files are uploaded via Dropbox.com for download by the client. Files will remain online for download for 30 days. ***If the client is not happy with iniital sketches 2 additional designs will be created based of client suggestions/direction. ***In the event the client is not happy after 2 sets of sketches no additional artwork will be rendered. ***Artists will retain deposit for the work produced. ***Client may continue to retain the artist at a rate of $25hr until design is completed. Artist will provide 2-3 sketches based on concept. Artist will provide progress report weekly until artwork has been completed. 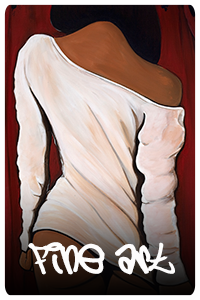 Art Reproductions/Prints - Please allow 7-10 days for delivery on all prints. Canvas Original Paintings - Please allow 2 weeks for for delivery on all original paintings. Business Cards - Please allow 10-14 days for delivery after the design has been completed.